With the support of CFI, 12 Yemeni journalists are currently in Stockholm to cover the peace talks being held in Sweden under the aegis of the UN. The journalists attended a training course with CFI in Jordan last week. 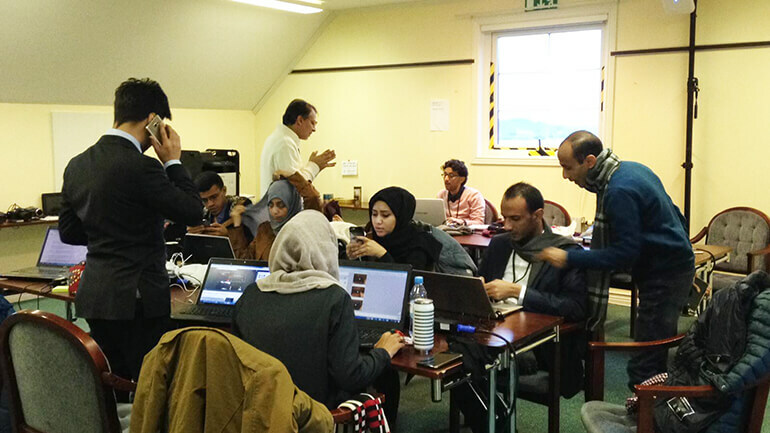 Based in Taiz, Aden, Sana'a and Hodeida in Yemen, the journalists underwent ten days of training on humanitarian journalism in Jordan as part of the "Yemen Media Emergency Response – YMER" project implemented by CFI. The idea of travelling to Stockholm to cover the peace talks came up during the course. The CFI and UNESCO teams joined forces to set up the operation in less than 48h. The Swedish authorities, for their part, facilitated their travel and stay arrangements and provided them with accreditation, enabling them to cover the negotiations alongside their fellow international journalists. On arriving in Sweden, the Yemeni journalists set up their newsroom in the heart of the venue hosting the negotiations, located 60 km from Stockholm, where they are producing articles, reports and interviews for their media outlets in Yemen and also circulating them on social media, including on the Facebook page dedicated to the project (Yemen Peace Talks Newsroom). 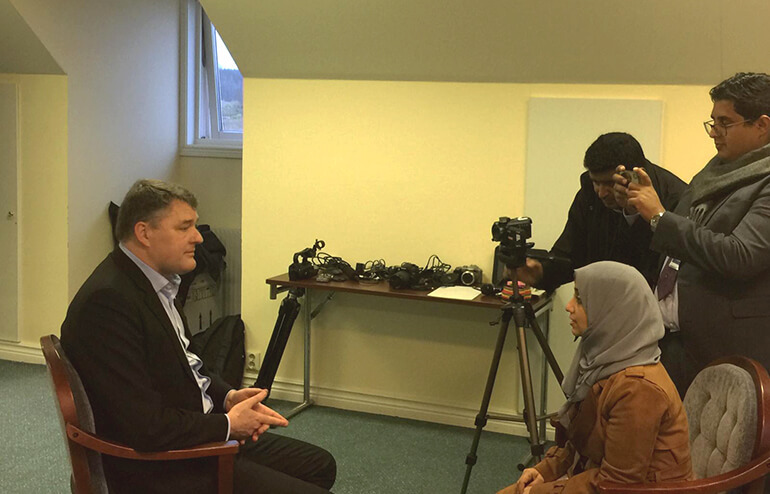 Interview with Hervé Verhoosel, a spokesperson for the World Food Programme announcing increased aid to Yemen.